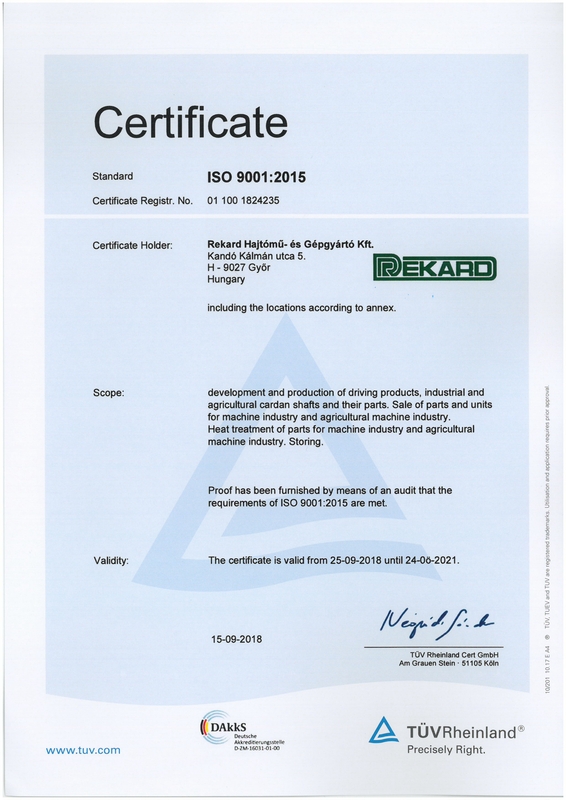 Rekard operates pursuant to the ISO 9001/2015 quality insurance system. The quality of the products is insured by the appropriate professional staff, the machines with the necessary high-precision machines and the measuring instruments utilised in quality control that are regularly supervised. 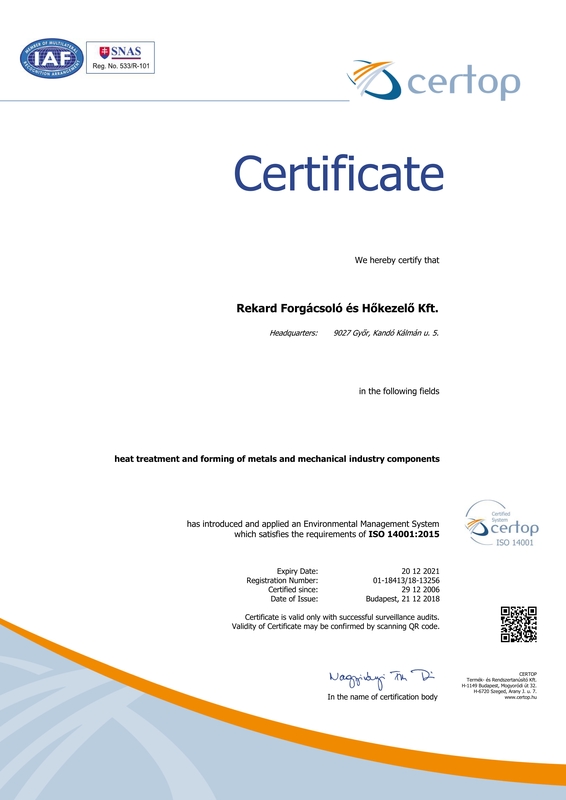 Controlling the heat treated pieces and charges and issuing the quality certificates. The drive unit houses produced on the machining centres and other special tools are controlled on 3 co-ordination measuring machines of type DEA. In addition to the above, Rekard has several other special controlling and measuring tools, which serve the continuously reliable quality of the products.